With the easily available supply of wine in supermarkets, the innumerable wine clubs, and still surviving wine chains like Majestic, Nicolas and Oddbins, who need a small independent wine shop? Everyone, is the answer. Well everyone who enjoys quality wine, that is. Here’s our rundown of the best places to buy wine in London. So go forth, explore, purchase and enjoy. While F&M’s may not be the largest wine range, it offers a perfectly curated selection with some gems at a reasonable price without sacrificing quality. Its store is sleek and sophisticated, thanks to renovations in the last several years. They have a dispensing machine that you can buy glasses of wine from, or you can buy a bottle and take it to The Wine Bar adjacent to it to pair with oysters and other foods. I particularly like F&M’s champagne selection. This ranges from bog-standard (own brand, Moet et Chandon) to small-grower wines like Jacques Selosse. One of my personal favourites to pair with food is Jacquesson 738 (£45), a high quality grower champagne. 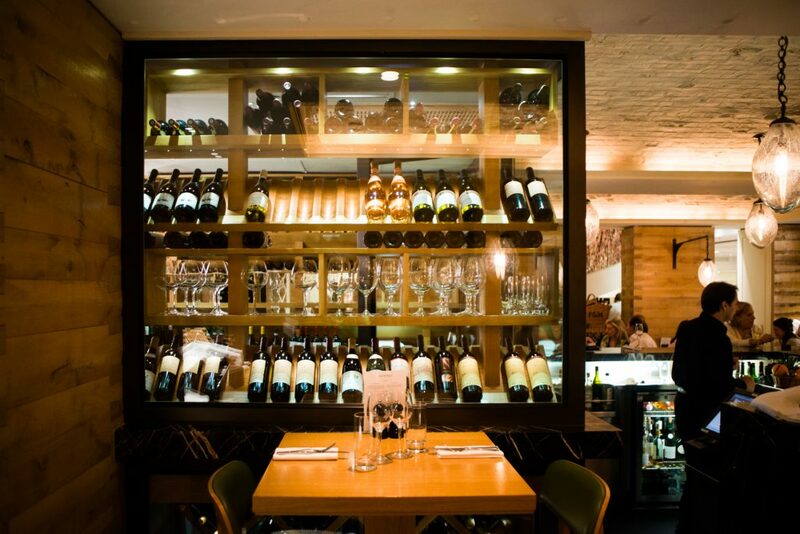 Situated on Victoria with the M Raw Bar, M Grill and M Bar, M Wine Store is an award winning shop specialising in more unusual premium wines. Many of the wines are exclusive to it or previously were only available in a few very expensive places. 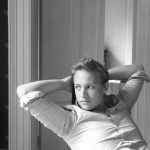 Zack Charilaou and Harry Crowther have spent a decade discovering wines from six continents and built up quite the range. Unlike any other wine store I can think of, it even sells via Deliveroo so, when you commit the ultimate dinner party faux pas of running out of wine, there’s a shop with great wines to the rescue, rather than the plonk of the 24 hour corner shop. On selection alone, Hedonism might well be unparalleled globally. It has every wine you have and haven’t heard of, and nearly as many spirits. An entire article could be written on this shop alone, but suffice to say the wine sold there is of very high quality. Want a bottle of £30 Chianti? By all means! Want to spend £45,000 on a Methuselah of Chateau Mouton-Rothschild? Right this way Sir. Although Hedonism can and does cater (rightly without shame) to the well-heeled of the world, there are many wines at any price point and the store has a modern almost “Silicon-Valley meets wine” feel about it. Britain’s oldest wine merchant, Berry Brothers, has traded from the same shop, with its thick black tar like painted front, on St James’s Street since 1698. Supplier to the Royal Family since George III, it holds two Royal Warrants: from H.M. The Queen and H.R.H. The Prince of Wales. Other historic customers include Lord Byron, William Pitt the Younger and the Aga Khan. Today members of the Berry and Rudd families continue to own and manage the family-run business, with offices in Japan, Singapore and Hong Kong. 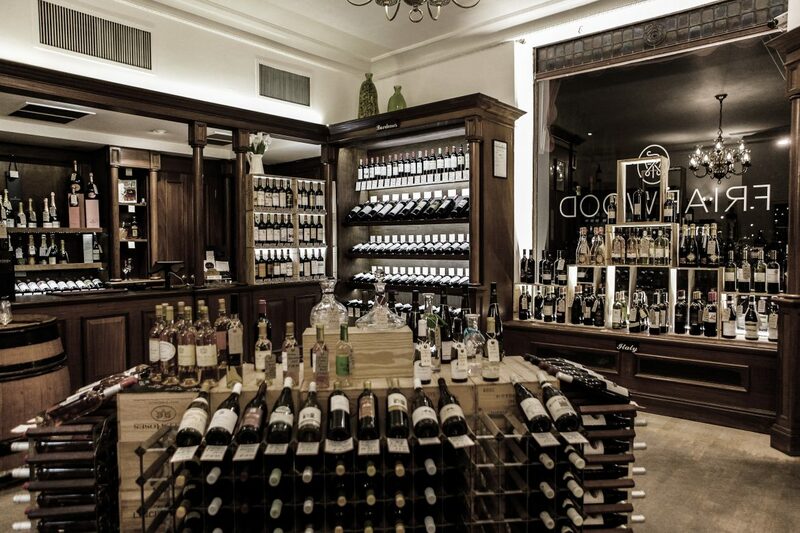 They stock 4,000 wines & spirits, including a number of their own label wines which are hard to beat for quality at their price point. The historic cellars and townhouse at No. 3 St James’s houses not just the shop but their wine school, wine tastings, corporate entertaining and bespoke events, with private dining rooms. The staff are always happy to help and are knowledgeable, and shopping in such an historic space with its wood paneling is always a treat. A personal favourite of one of London Lamppost’s contributors, this small chain has four stores, all based in West and South-West London. Typically, it’s slightly more expensive than other larger chains, like Oddbins and Nicolas, but offers a much greater diversity of product, and from higher quality producers. Founded in 1967 by Peter Bowen, 2017 marks its 50th Anniversary. 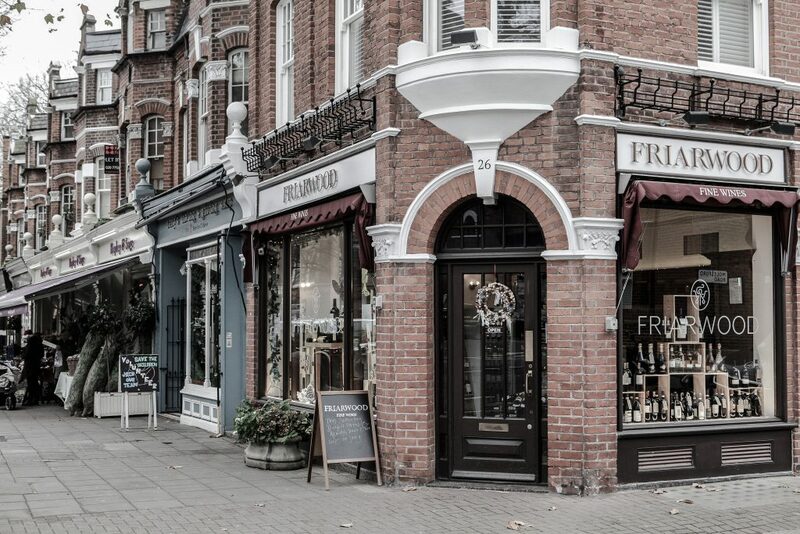 Its store in Parsons Green is packed to the rafters with wines of all classes and prices, from drinking wines that many stores would love to have, to decades old bottles costing over four figures, like the 1947 Château Haut-Brion. The store is just the tip of the iceburg (I mean just look at feature image). Underneath it is a temperature and humidity-controlled cellar housing some 20,000 gently maturing bottles. Friarwood has a team that you can ask questions and advice of, and it also offers in-store wine tastings every last Wednesday of the month. At these monthly events a speaker or producer leads the tastings of a selected range of wines. It allows customers the chance to explore new wines and learn about the industry and buying tips.